This beautiful one owner Taylor Morrison home is located in a cul-de-sac on a large corner lot in the desired private gated community of Oregon Trace. This stunning interior features an open floor plan with four bedrooms, a large master bath with a double vanity with his and hers sinks, a huge stall shower, a separate garden tub and toilet room, a second full bathroom adjacent to the bedrooms, an updated kitchen with a new garbage disposal, newer cabinet drawers, quartz counters with a matching glass tile back splash and stainless steel appliances, a separate dining area, a formal living room, a great room with sliding doors to the screened lanai, a laundry room with storage cabinets and clothes rod and a 2 car garage with newly painted floors and a convenient utility sink. The well-manicured exterior of this home offers an extensive stone patio, lush landscaping, mature mango, avocado, orange and lime trees with a cultivated privacy hedge which encloses the large backyard which has plenty of space for a pool! There have been many upgrades to this pristine home such as a new roof in 2016, a complete air conditioning system in 2018, new gutters, a new "Rainbird" sprinkler system and all new interior stainless-steel faucets. 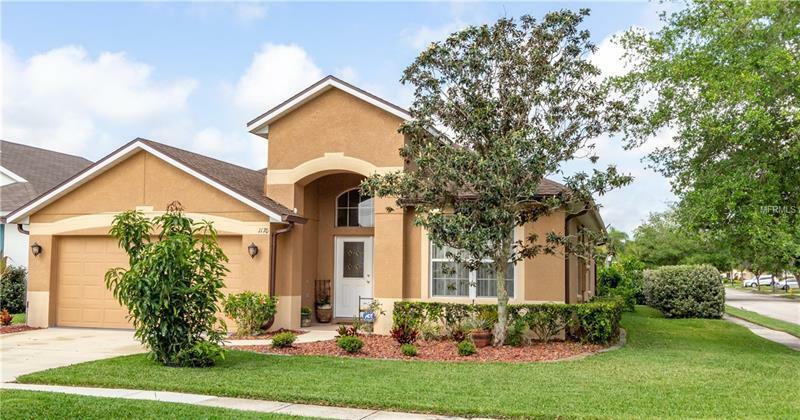 This is an excellent address with top rated schools conveniently located close to I-4, 417, Seminole Town Center Mall, Colonial Town Park and the Lake Mary business district. This home has everything...all itâs missing is you! Schedule your private showing today!